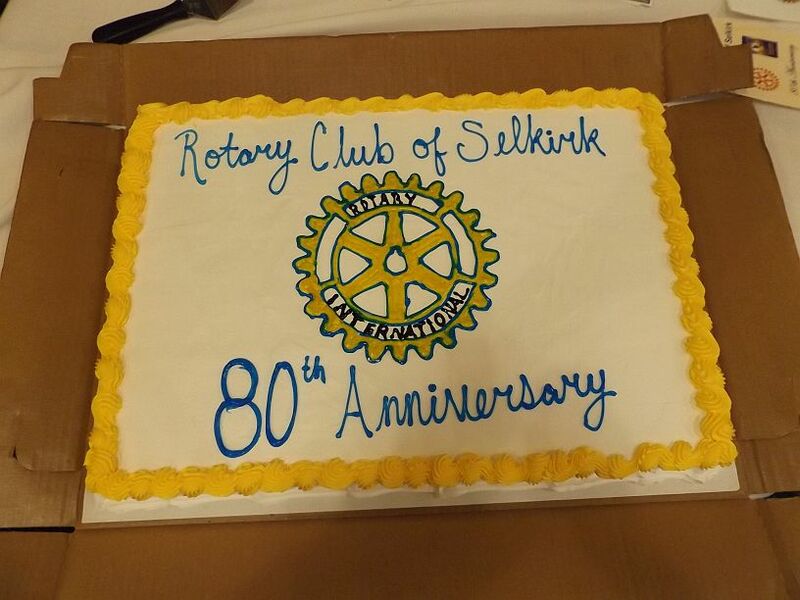 The Rotary Club of Selkirk held a “Special Rotary Club of Selkirk Meeting” on Saturday, April 8, at the Selkirk Golf and Country Club when we celebrated our “80th Anniversary of Service to Humanity” in our community, region and internationally . 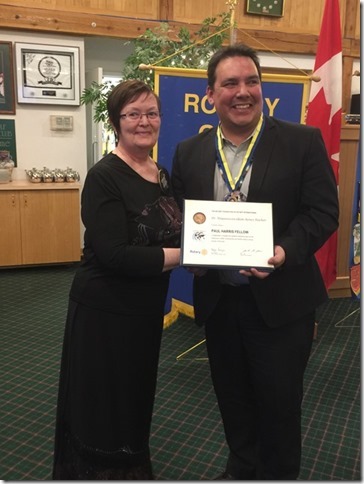 who spoke on his youth growing up in Selkirk and his Rotary experiences in RYLA and his youth exchange in South Africa and what Rotary meant to him. Two Paul Harris Fellows were presented to commemorate our 80th Anniversary. Homeless Shelter among other community achievements. work in reconciliation and human rights. Many other notable figures have been named as Paul Harris Fellows, including U.S. President Jimmy Carter, Russian President Boris Yeltsin, U.S. astronaut James Lovell, UN Secretary-General Javier Perez de Cuellar, and Jonas Salk. 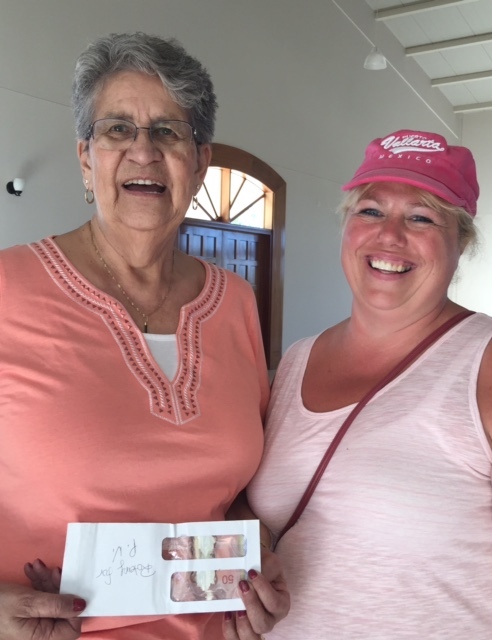 Rhonda is seen presenting our Club's donation to Winnie G at the Children of the Dump Mission in PV during our visit on Jan 18/16. 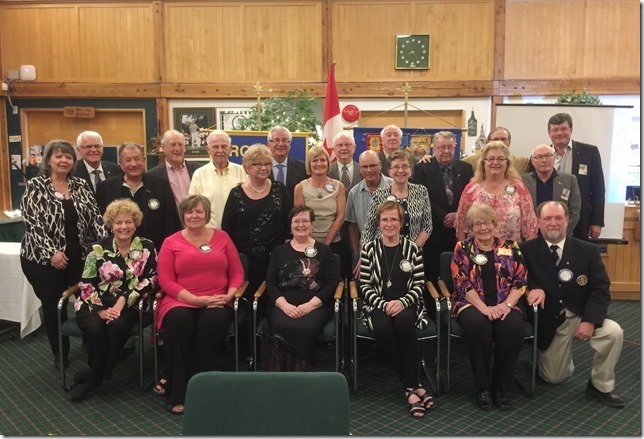 The members of the Rotary Club of Selkirk extend a warm welcome and invite you to take an active part in the club's service and fellowship activities. Rotary is a voluntary organization of 1.2 million business and professional leaders united worldwide. Rotary is the world's first volunteer service organization. Clubs are nonpolitical and open to every race, culture, and creed. 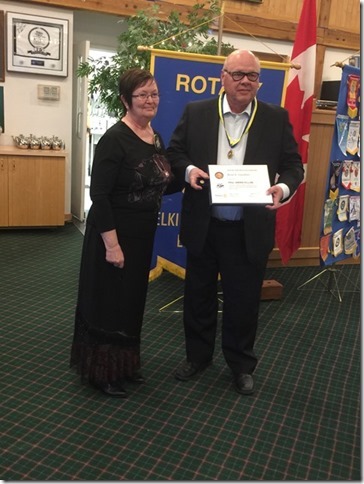 The Rotary Club of Selkirk was admitted to Rotary International in 1937. 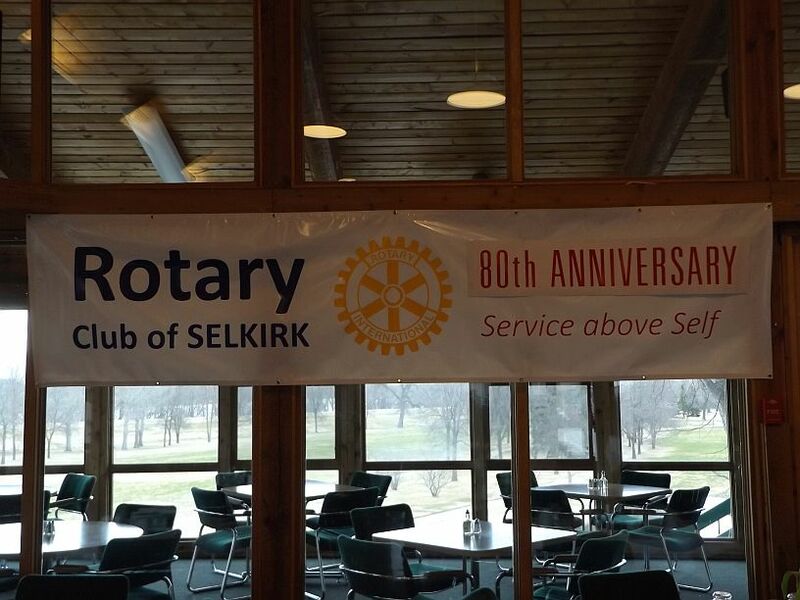 Some of the activities and projects that our Selkirk Club has sponsored locally include: The Skate Park in Selkirk Park, Selkirk Park Swimming Pool, Gordon Howard Senior Centre, and Dialysis Unit Project for Selkirk Hospital, Community swimming pool at the High School, Rotary Manor residence and the Selkirk and District Community Foundation. Our club meets at Benjamin's every Monday at 6 p.m. Our meetings start with a meal, business arising and then a program of interest. Some of the programs take us to various locations in Selkirk and area. Meetings are planned to end at 7:30 p.m.
meeting (no dinner, just coffee/tea and a 50/50) is $5. At meetings you may get "fined" by the Sergeant at Arms. The money from the fine box goes towards a project - either locally or internationally. Membership dues are paid yearly. Current fees are $150 for the year. Other opportunities for individual contributions take place throughout the year, such as The Rotary Foundation, disaster relief and other projects, which are tax deductible. An emphasis in this club is to encourage members to attend as many meetings as possible, while recognizing individual needs and commitments. 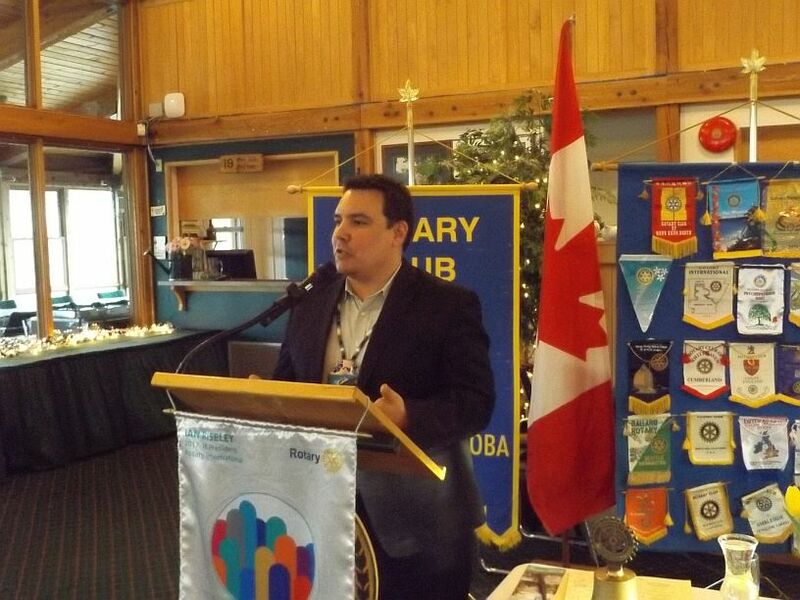 Meetings can be "made up" all around the world, Gimli, Winnipeg as well as e-club meetings online. For some of the activities and projects we have committees that are created by those with an interest in that area. As a part of the organization, we ask for your areas of interest, strength, or background and we will help find a "spot" for you! What do we do with our money we fundraise? Approximately 75% of the money we raise will go to local community projects, with 25% supporting International projects. Our current goal is to complete the Skate Park and then start looking at our next "big project" for the community. If you have some ideas, come and join this great service group! The United States was in the grip of the Great Depression when Herbert J. Taylor, the newly appointed president of a nearly bankrupt Chicago cookware company, penned what became known as The Four-Way Test. Today, the simple test serves as an ethical compass for Rotarians everywhere. In 1932, Herbert J. Taylor, believing his employees were in need of an "ethical yardstick," wrote four questions on a small, white piece of paper: Is it the TRUTH? Is it FAIR to all concerned? Will it build GOODWILL and BETTER FRIENDSHIPS? Will it be BENEFICIAL to all concerned? Grand Opening of "Gaynor Family Regional Library"!!! Rotarian Jim & Betty Gaynor, the major donors speak at Grand Opening! Rotarians gather at Rotary Bridge! !